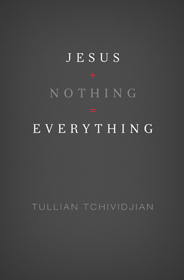 Every day this week (Mon-Fri) I’m posting excerpts from Tullian Tchividjian’s book, “Jesus + Nothing = Everything”. Thanks to my friends at Crossway Books, at the bottom of each day’s post there is an opportunity for subscribers to the blog to win a copy of the book as well. Congratulations Ed, who was the winner for Day #2. God created you for beauty—and redeemed you for beauty—so that you and your joy and peace and gratitude for what he’s done for you in Christ would be put on display in a dark, watching world. The world isn’t captivated by people trying to give the impression they have it all together. That’s not what draws them. What captures their attention is the sight of humble, desperate, dependent people who acknowledge their sin and who point to their Savior as the only one who can rescue us. The world, in other words, needs our confession, not our competence. Tragically, moralism is what people most outside the church think we’re talking about when we say gospel or Christianity. That’s what enters their minds. Most people inside the church give most people outside the church the impression that Christianity is all about observing certain codes of behavior and abstaining from others. It’s all about rules and standards and good behavior and cleaning up your act. We’re really good at communicating that to the world. The only way we’ll be able to reach people for Christ is to differentiate legalism from the gospel. From a human standpoint, we have to help them understand that rules and regulations and standards and behavior modification are not the heart of Christianity. We have to show them that the gospel is radically different. 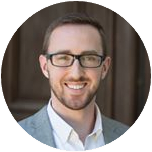 We need to somehow make it clear that Jesus came first not to make bad people good, but to make dead people alive; that the primary goal of the gospel is to bring about mortal resurrection, not moral reformation. Christianity is not the move from vice to virtue, but rather the move from virtue to grace. We need to demonstrate and articulate this difference. We need to be able to distinguish between religion (all about my need to do) and the gospel (all about what Jesus has done). Pascal expressed it well when he said that we should make people wish the gospel were true, then show them that it is. Is your life—is my life—causing the people around us to hope desperately that the gospel is true? Is there a gospel-soaked attractiveness to our lives? Does an aroma of grace spill out from us into selfless service of others? Day #3’s giveaway is now closed. Congratulations Jason Delgado!